Mike Gabriel has been playing a key creative role at Walt Disney Animation Studios for over thirty years, working in a variety of capacities including director, animator, storyman, character designer, visual development, production designer and art director. In the latter capacity, he most recently helped to create some of the wildly imaginative and visually stunning gaming worlds for Disney’s Oscar®-nominated 2012 comedy adventure, “Wreck-It Ralph." Gabriel has directed two Disney features – “The Rescuers Down Under” (1990) and the Oscar®-winning “Pocahontas” (1995) – as well as the Oscar®-nominated 2004 short, “Lorenzo.” For the latter, Gabriel designed the characters, storyboarded the film, painted all the backgrounds, and was responsible for the production design. “Lorenzo” was based on an idea by Disney legend Joe Grant, who was Gabriel’s friend and mentor. Born in Long Beach, California, Gabriel took his first animation class at Golden West Junior College (in Huntington Beach), and made his first contact with the Disney Studios when he was just 18. Determined to become a Disney animator, he finally got the chance and began working there as an assistant on the feature “The Fox and the Hound” (1981). Other animation assignments quickly followed on the 1982 short film, “Fun with Mr. Future,” and the features “The Black Cauldron,” “The Great Mouse Detective” (for which he designed the supporting dog and cat characters, Toby and Felicia), and “Oliver & Company.” For "Oliver," he served as supervising animator, and also contributed to the story and character design. 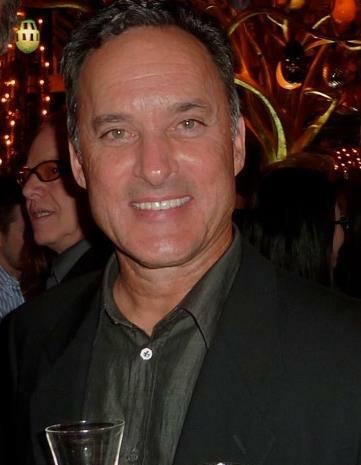 His unit was responsible for much of the exciting chase scene that serves as the film’s finale, as well as Dodger’s song, “Why Should I Worry?” Following his directing stint on “Lorenzo,” Gabriel went on to provide concept art and storyboards for “Bolt” (2008), additional art direction for Disney’s 2009 hand-drawn animated feature, “The Princess and the Frog,” character designs, storyboards, and visual development for “Tangled” (2010, and visual development for “Winnie the Pooh.” Other recent credits include visual development for Pixar Animation Studios’ hit film, “Brave,” and for Tim Burton’s 2012 stop-motion animated feature, “Frankenweenie.” Additionally, he did some concept and visual development work for Disney’s 2013 animated release, “Frozen.” Gabriel and his wife, Tammy, have three children, and live in Santa Clarita, California.